Produktinformationen "Pico HAT Hacker, GPIO Verteiler für Raspberry Pi"
The Black HAT Hacker in bijou form. It's Pico HAT Hacker! 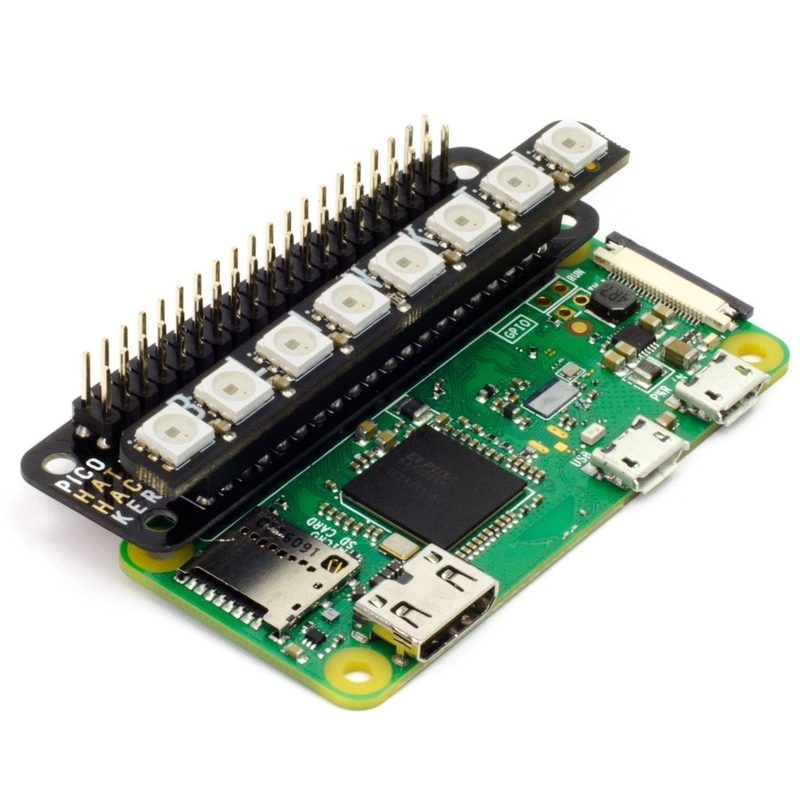 Pico HAT Hacker gives you full access to all 40 pins on your Pi, broken out at the top. 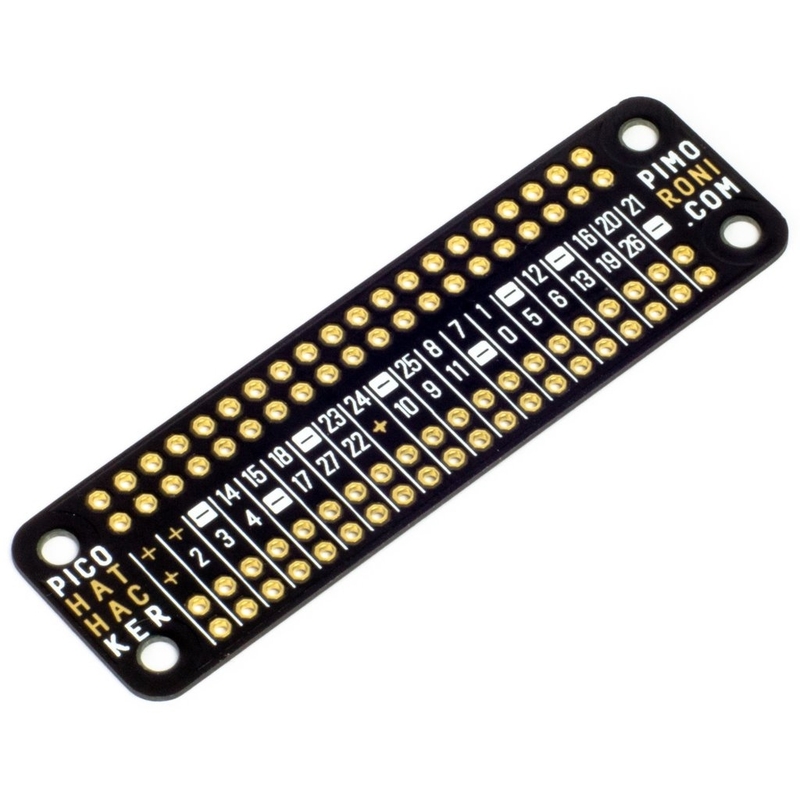 It's a super-skinny 0.8mm PCB, like our SHIMs, so you can solder it right onto the pins on your Pi and still have enough height on a standard header to fit a HAT or pHAT on top. There's handy labels for all of the pins, with BCM pin numbering on one side, and more descriptive labels on the other to show where the I2C, UART, SPI, PWM, and I2S pins are. 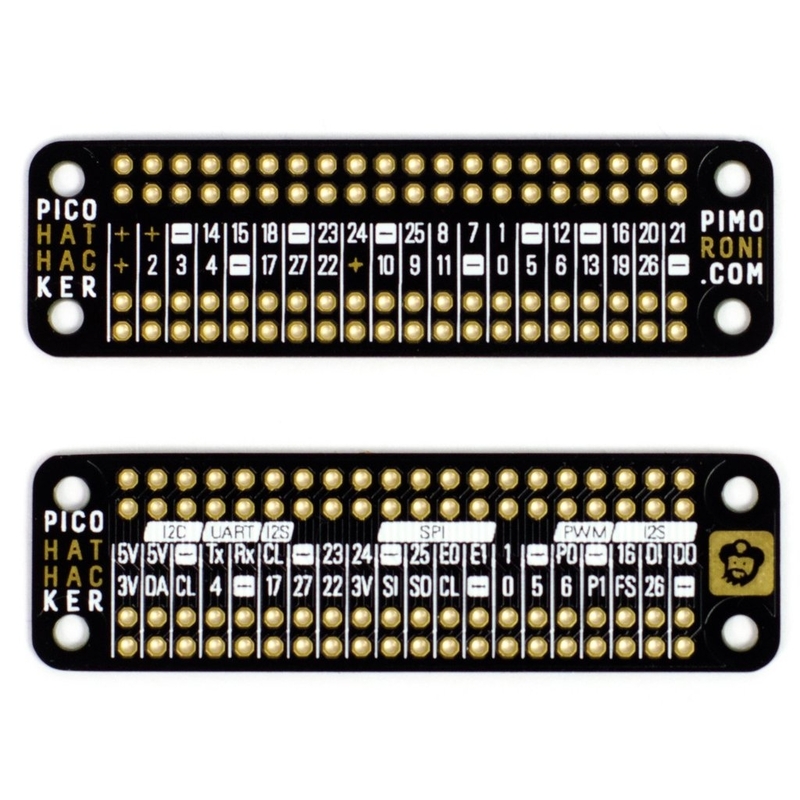 You can solder the Pico HAT Hacker either way up, depending on which set of labels you find most useful. Weiterführende Links zu "Pico HAT Hacker, GPIO Verteiler für Raspberry Pi"
Daten "Pico HAT Hacker, GPIO Verteiler für Raspberry Pi"